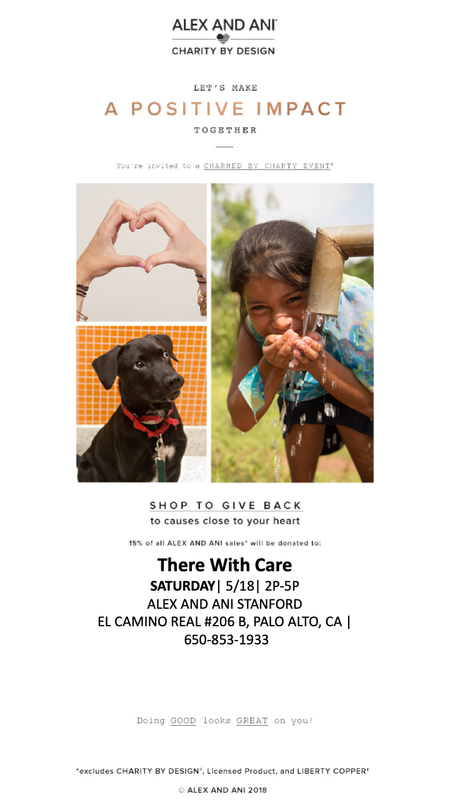 Alex and Ani at the Stanford Shopping Center, 180 El Camino Real #206B, Palo Alto, is holding a Charmed by Charity Shopping event on Saturday May 18th from 2p-5p with 15% being donated to There With Care to help families facing a critical illness. Devil’s Canyon Brewing Company hosts a Cheers! for Charity community donation program every Friday throughout the summer, opening up the brewery for a giant neighborhood social for family-and-pet-friendly fun including live music, food trucks, and Devil’s Canyon craft beer and root beer. Please join us on Friday June 28th for an evening of fun!